You’ve been working for a year or more, and the big day is here at last. Your product is finally ready to launch. Now’s the time to kick off your online marketing campaign and watch the customers roll in. You set up your hashtags, update your Facebook page, and get the message out to anyone who’ll listen. And then—nothing. The problem is that you started to market too late. 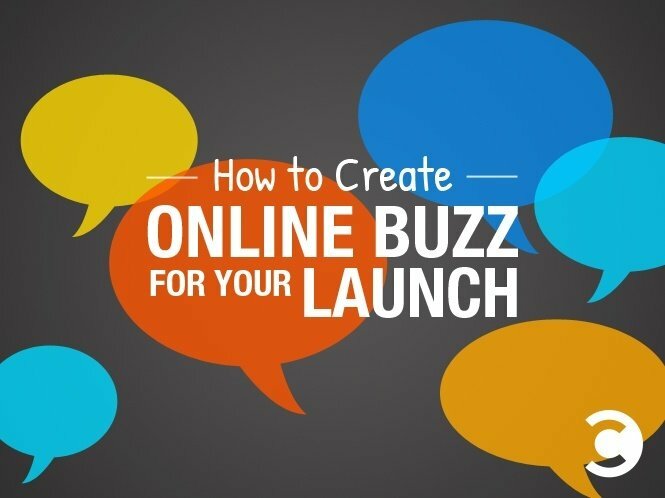 You need to build online buzz well in advance of your actual product launch . Create up-front excitement, and you’ll have customers queuing up. Wait until the moment you launch, and you’re starting from zero. Building online buzz takes work, but it’s well worth it. Think about how companies like Apple get huge coverage before they launch a product. Rumors swirl, excitement builds and then—bang! Apple announces the product (which still isn’t going to be available for another six months), and hysteria breaks out. When Apple finally does ship the product, they sell millions of units in the first few days. In fact, when Apple released the iPhone 6, they sold 10 million units in the first weekend alone. You may not be as big as Apple, but you can still build online suspense and anticipation. The trick is to keep an element of mystery while hinting at great things soon to come. Tweet tantalizing clues. Put up a great big “Coming Soon” message on your website and Facebook page. Share sneak previews without giving away too much. Post teaser videos on YouTube. The possibilities are endless—the only limit is your own imagination. If you do this effectively, you’re much more likely to make a big splash when you do actually launch. Another great way of spreading the word is to get bloggers to talk about your upcoming product. If you pick the right bloggers, you’ll amplify the buzz by tapping into their audience. Again, don’t tell them everything—keep the suspense going—but give them exclusive tidbits that they can pass on to their readers. Obviously, if you give each blogger the same “exclusive” scoop, they’re just going to get annoyed and lose interest, so try coming up with half a dozen unique angles, and send a different one to each blogger. To find bloggers who are interested in your product, use a blogger introduction site such as Tomoson or search online to find people who would be a good fit for your product and your message. You may also find influencers who have more of a presence on a particular social media website, like Twitter, Facebook, or YouTube. It’s important to spend time looking at the kind of material they publish, or you’ll never be able to deliver a message that’s perfectly tailored to their audience. Most people think about crowdfunding as a way of raising money. It is, but it’s much more than that. A crowdfunding campaign is a great way of building an army of enthusiastic supporters. When people put their own money into a crowdfunding campaign, they’ve already bought into your product concept. They’ll go out of their way to tell friends, family and colleagues about what you’re doing. In many ways, it’s like having a free sales force. Keep in mind that crowdfunding doesn’t mean giving away a share in your profits. For example, when WobbleWorks wanted to develop the 3Doodler (a pen that works like a 3D printer by letting you draw 3D objects one layer at a time), they launched a campaign on Kickstarter. WobbleWorks gave away rewards for different contribution levels: a 3Doodler for $50, an exclusive preproduction model for $1000, and so on. The result? They raised more than $2.3 million from over 26,000 backers, creating massive buzz in the process, including coverage from major online sites such as Wired. Another great way of creating buzz is to give prospective customers exclusive pre-launch access to your product. This works particularly well if you are launching an information product or service. This is one way that Pinterest created buzz. Access to their beta site was by invitation only—you registered for an invitation, which normally took a couple of weeks to arrive. When Pinterest finally launched and opened up to the public, they got massive online coverage, including in the Huffington Post, Inc., BBC News, CNET, Gizmodo, and TechCrunch. Of course, it’s more difficult to do this if you’re planning to launch a physical product. However, you can still tap into people’s need to be the first one on the block with a new toy. Create an online waiting list, and let people know where they are in the queue when they sign up. Tell them you’ll move them up the list if they get their friends to sign up as well—this can make your waiting list explode. That’s what happened with Robinhood, an online stock trading app that managed to build a waiting list of more than 700,000 people using this strategy. To get people really engaged in your product’s story, give them a behind-the-scenes view of your creative process as it progresses. Don’t give away too much—what you need is a set of teasers that make potential customers eager to know more. Don’t just focus on the product itself—if you pay attention to the human angle, then you’ll create a real relationship with your audience. For example, produce video interviews with staff, where they talk about how they feel about the product and why they’re excited about its launch. Post these videos on YouTube on a regular basis, then promote them. Tweet links to your videos, embed them in your website, and tell bloggers about them. Get your staff to tell their family and friends—they’ll want to do this anyway if you make them the stars of your videos.